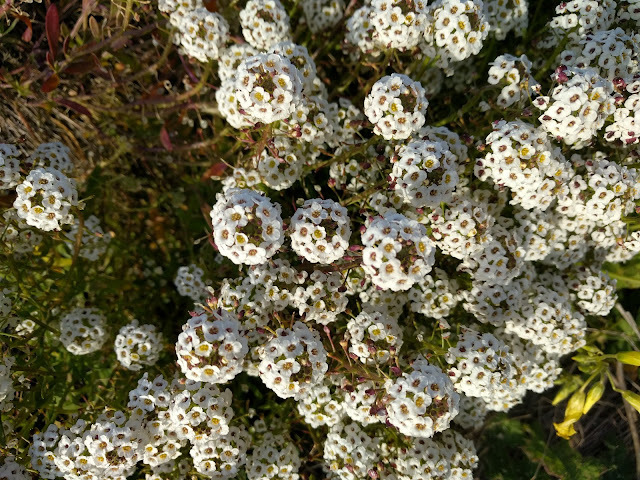 This is part 2 of my photos. 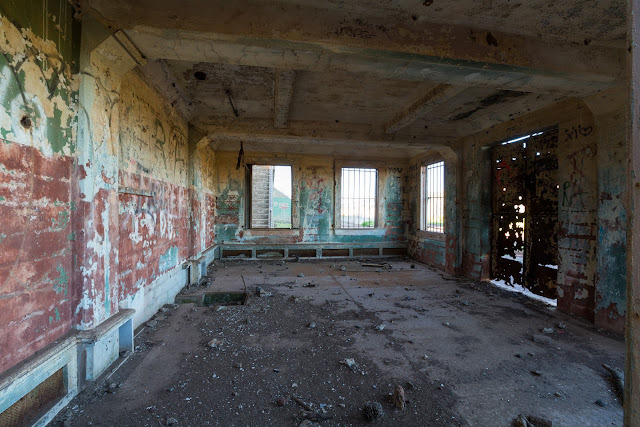 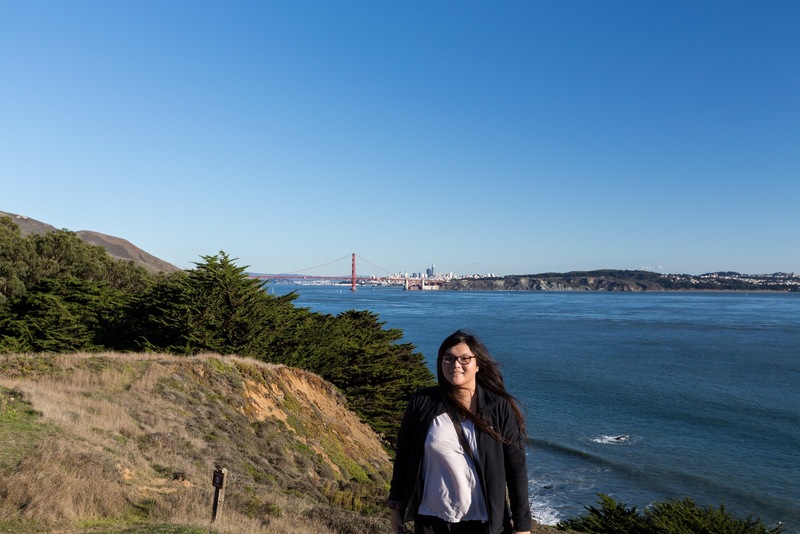 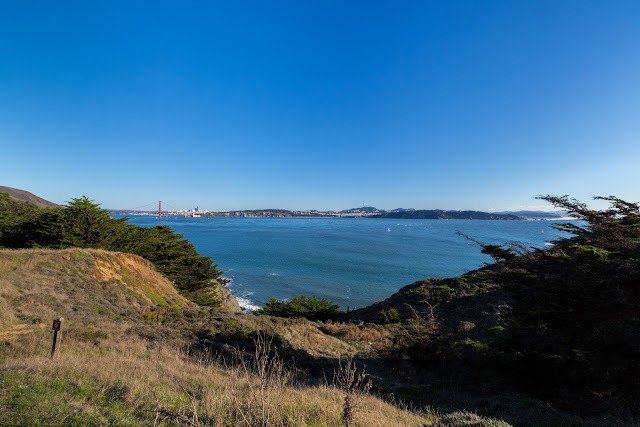 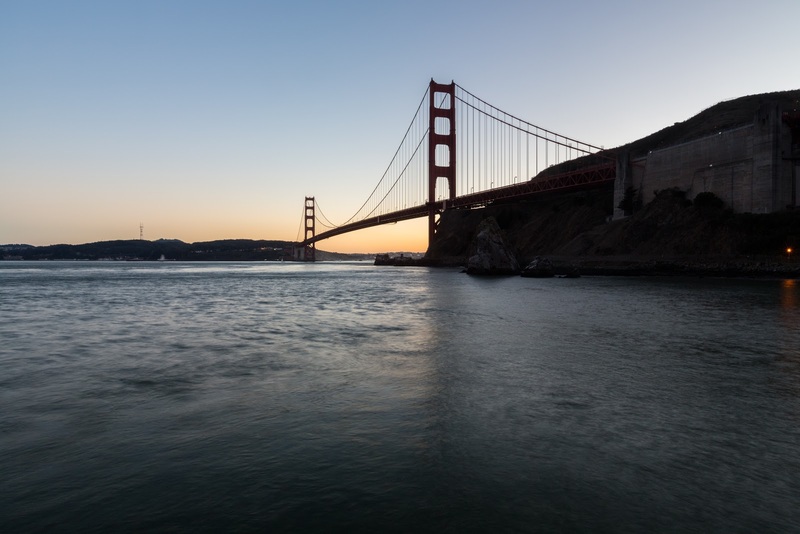 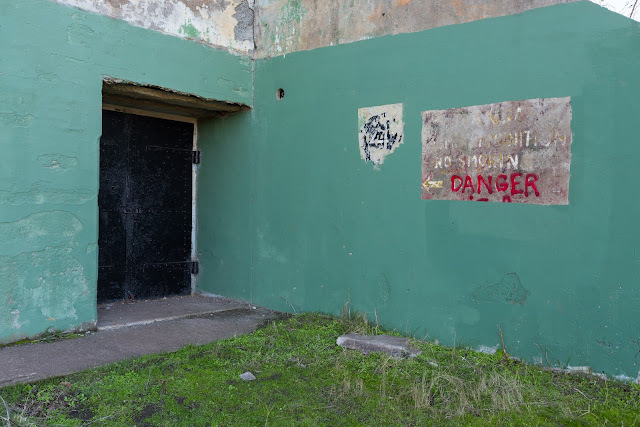 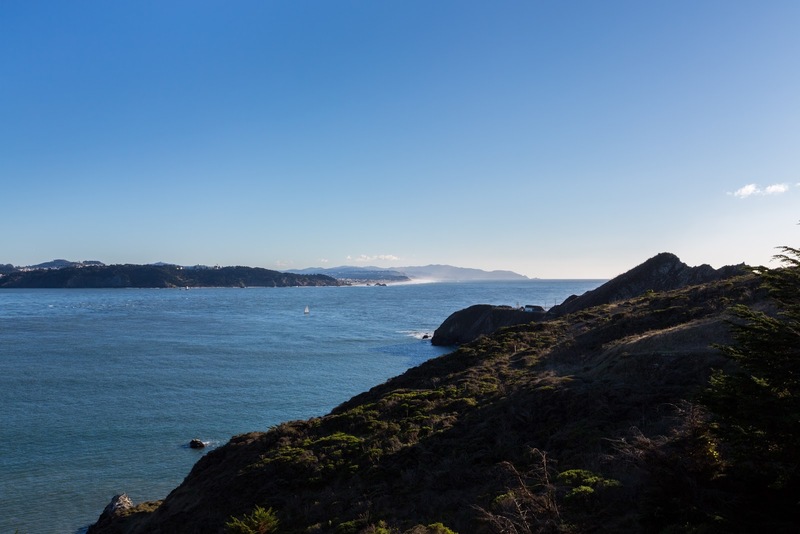 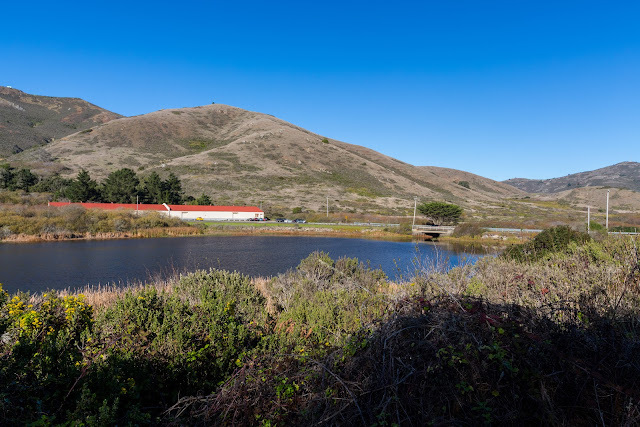 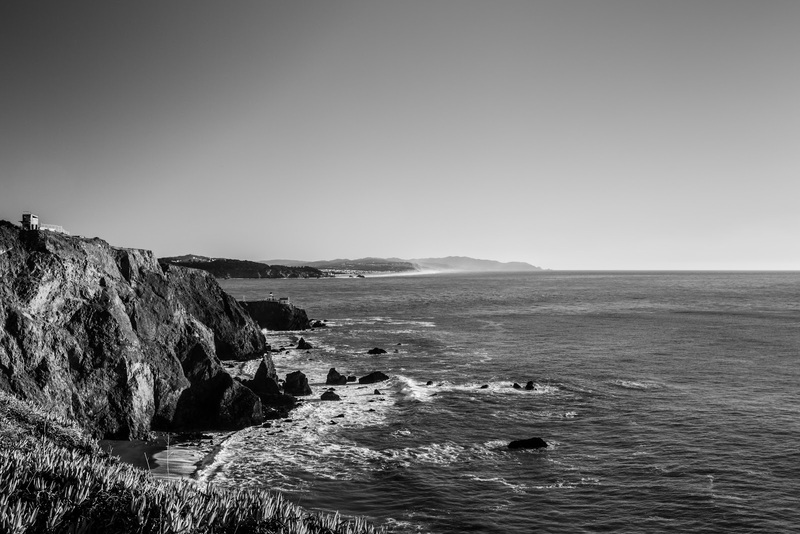 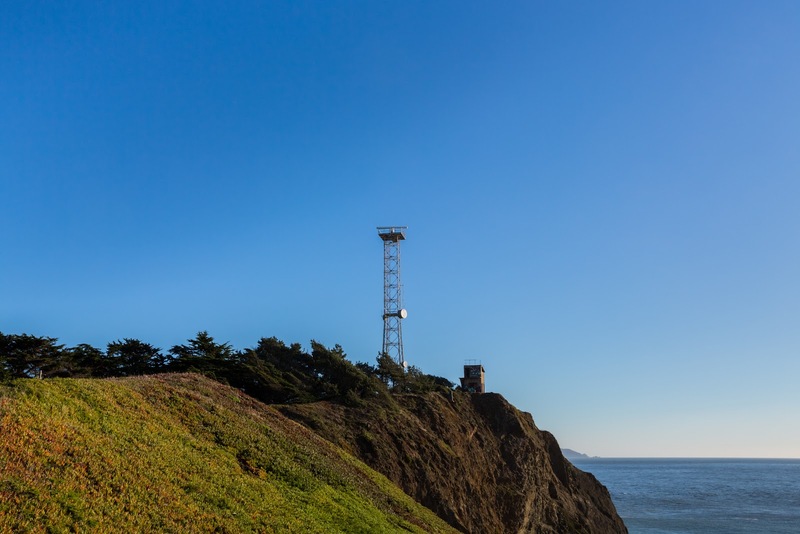 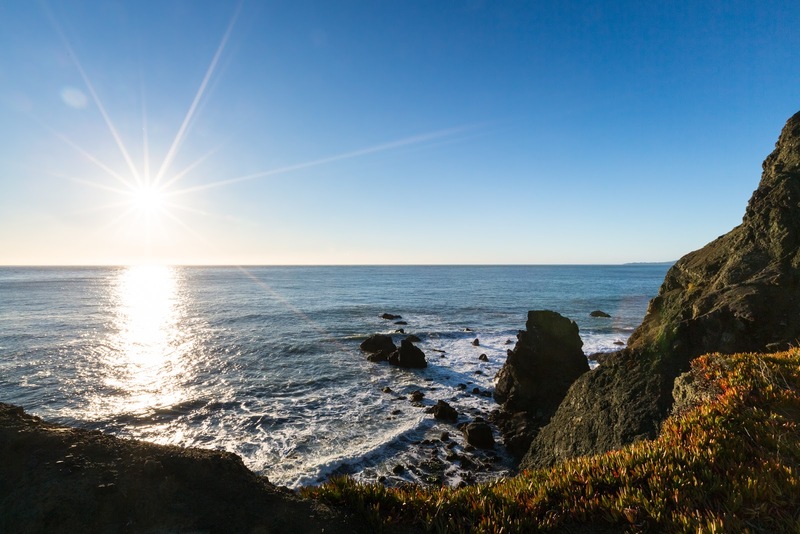 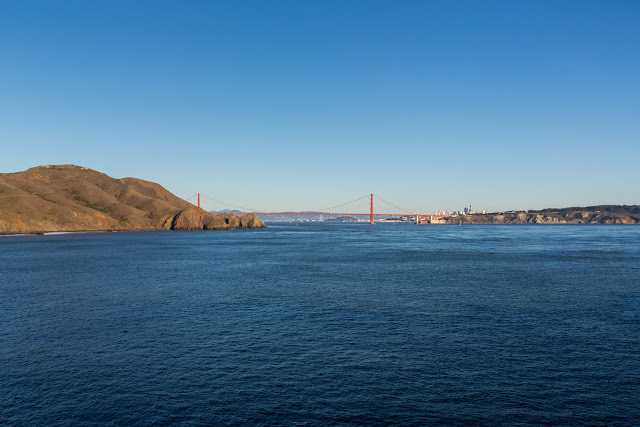 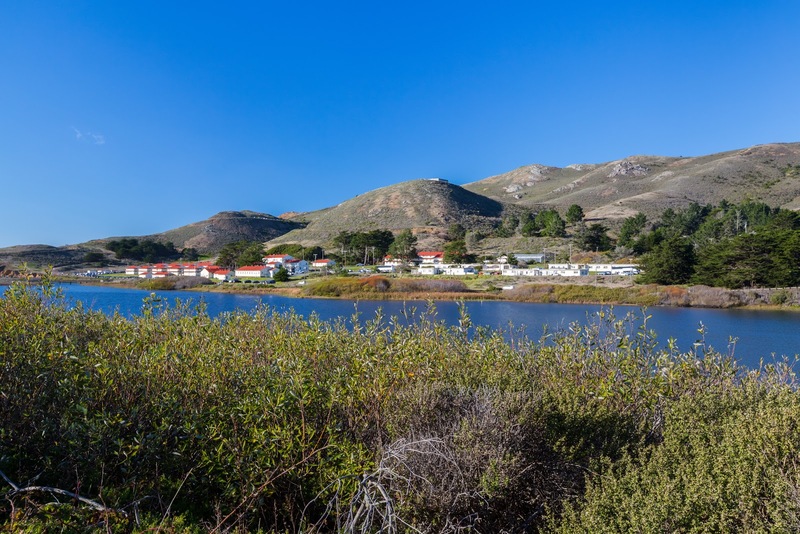 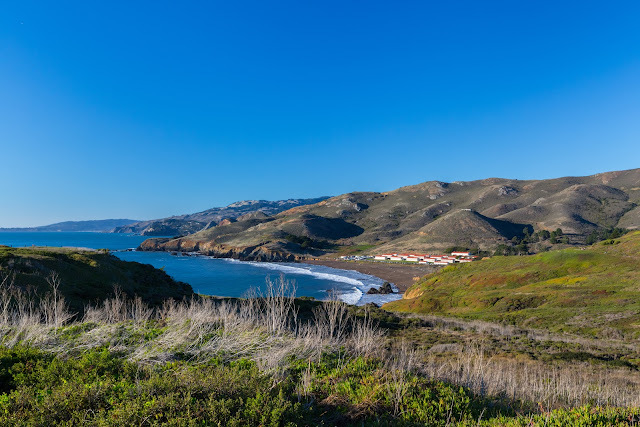 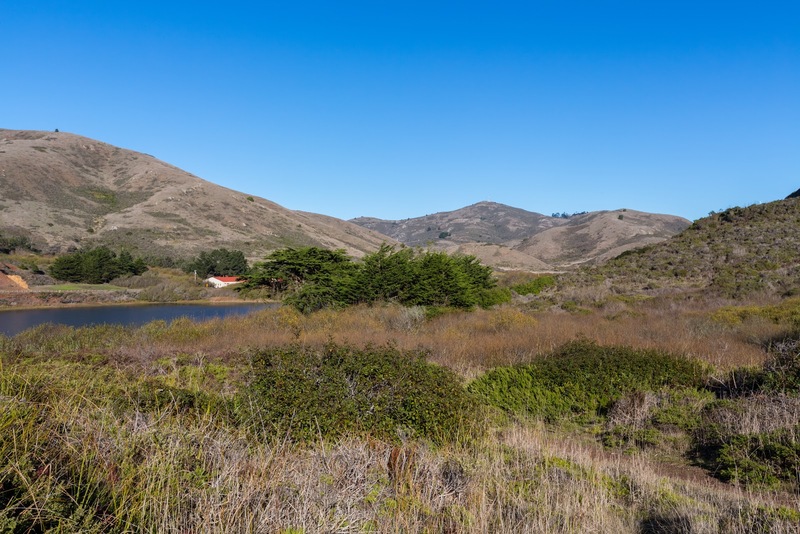 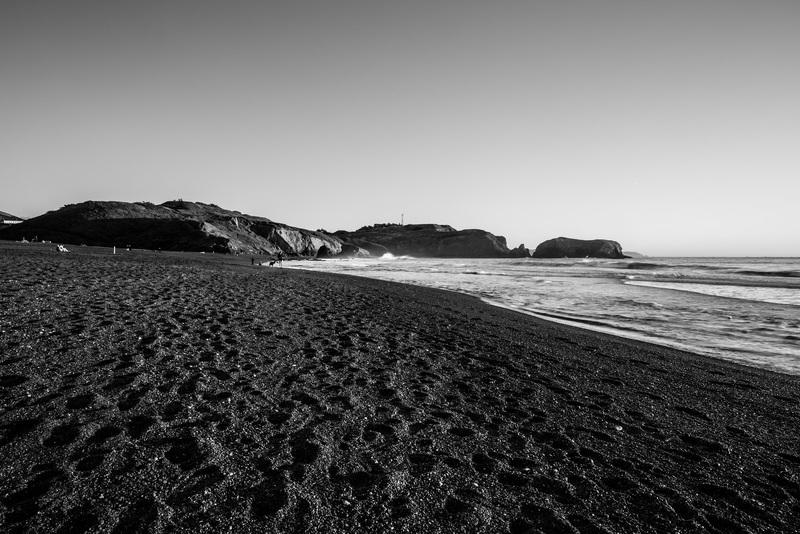 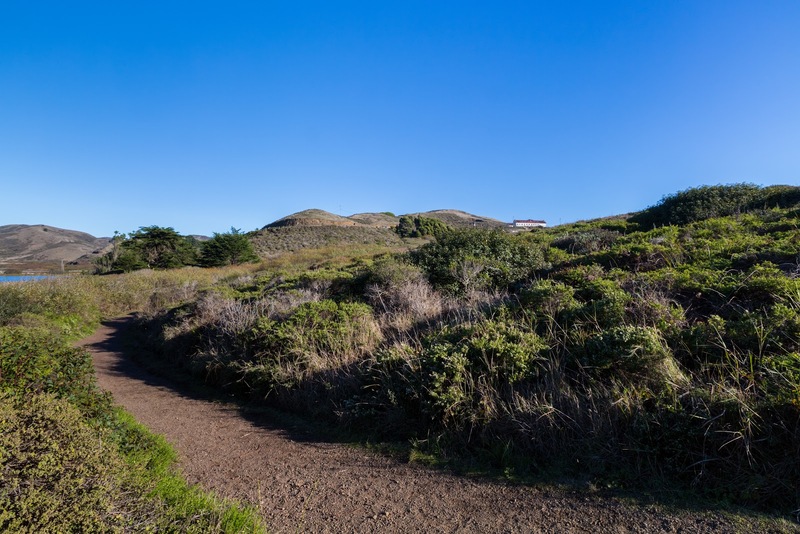 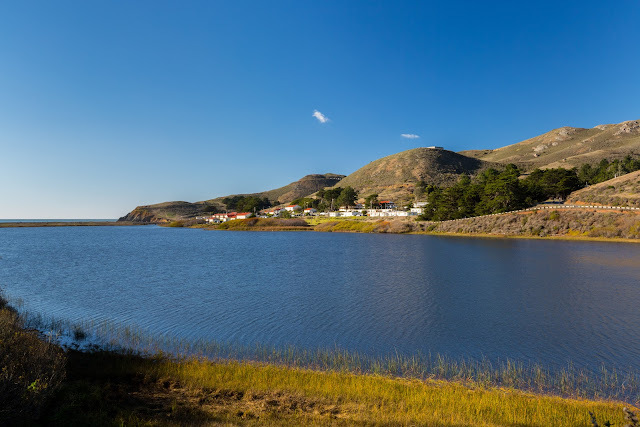 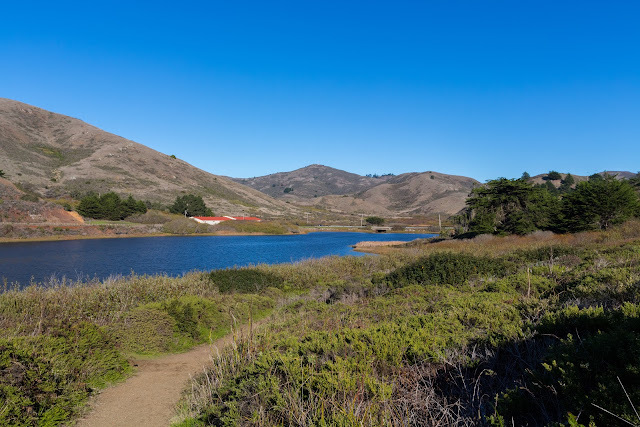 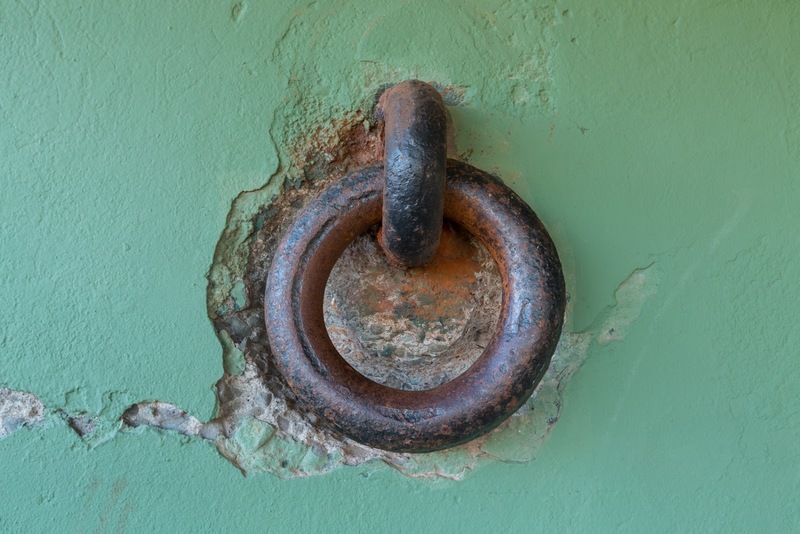 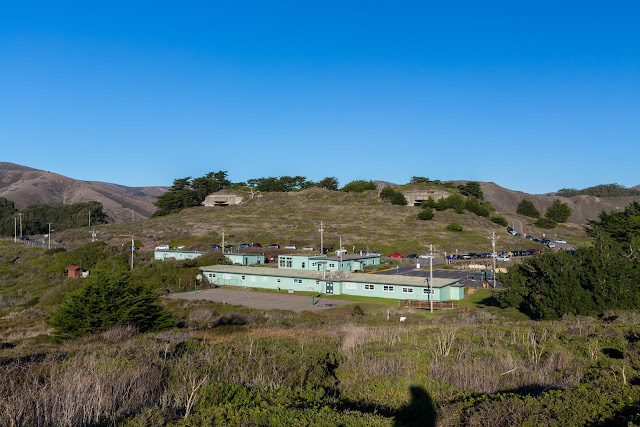 Photos are from Marin Headlands, Rodeo Beach, and Fort Baker. 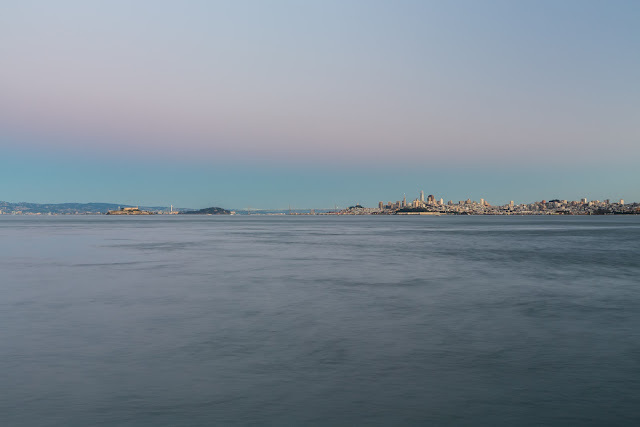 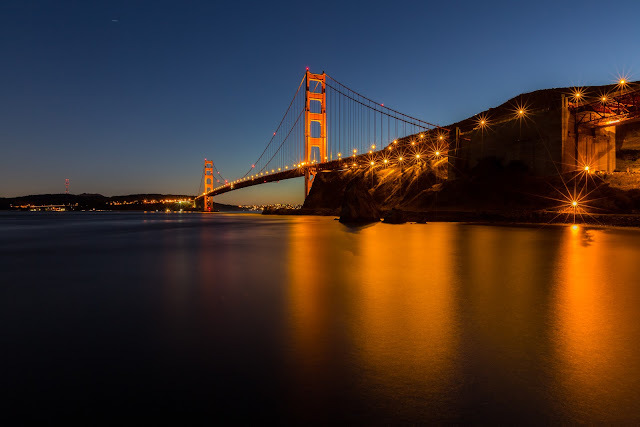 Photo of Golden Gate Bridge, Bay Bridge, Yerba Buena Island, and Downtown San Francisco. 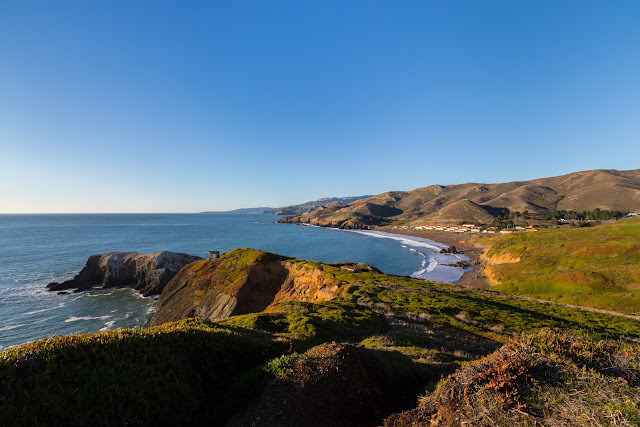 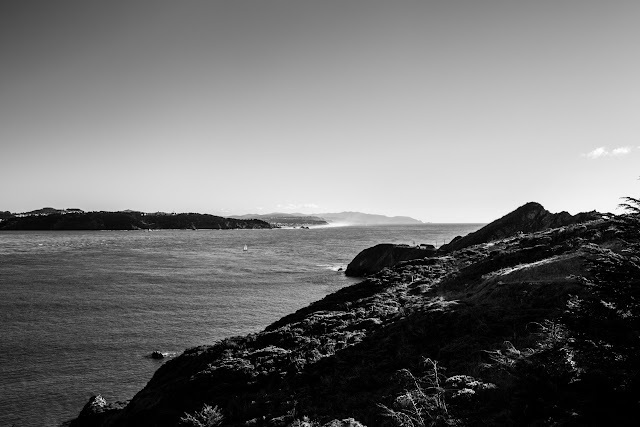 Photo from Point Bonita Trail at Marin Headlands. 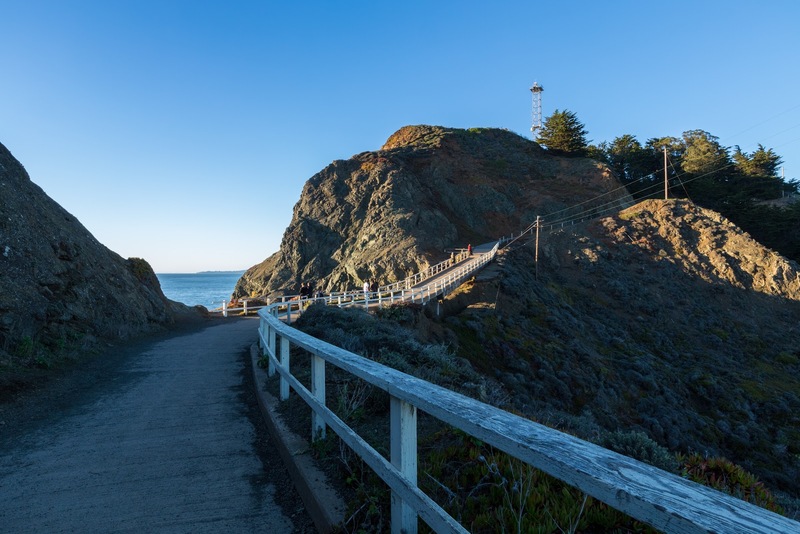 Photo from Point Bonita Trail at Marin Headlands. 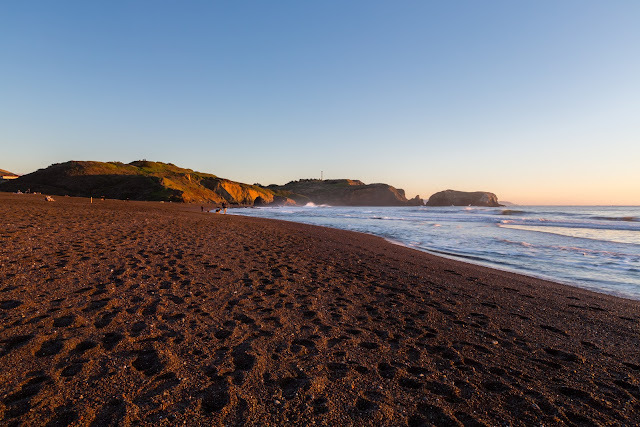 Sunset from Rodeo Beach at Marin Headlands. Sunset over Fort Conkhite shot from Rodeo Beach at Marin Headlands. 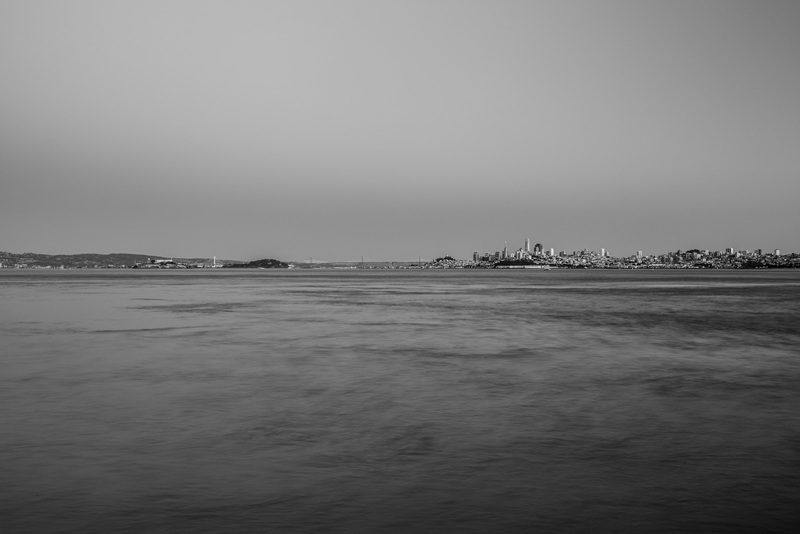 Sunset over Golden Gate Bridge and Sutro Tower shot from Moore Road Pier at Fort Baker. 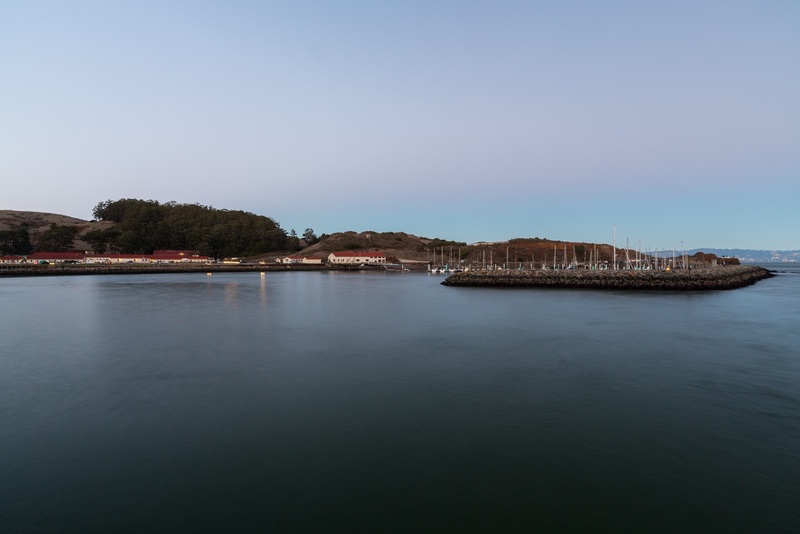 Sunset from Moore Road Pier at Fort Baker. In the photo from the left is Alcatraz Island, Yerba Buena Island, Bay Bridge, and Downtown San Francisco. 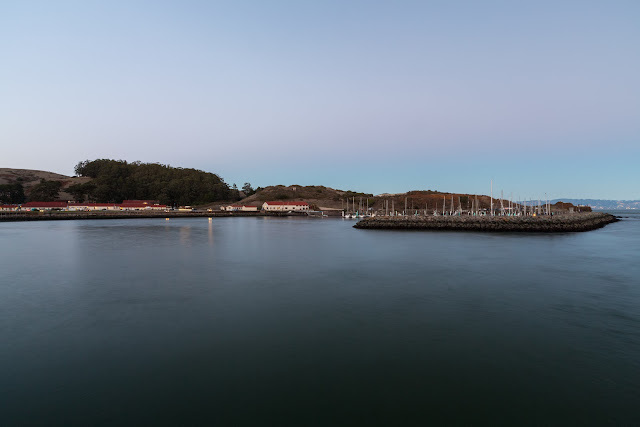 Sunset over Horseshoe Bay and Presidio Yacht Club shot from Moore Road Pier at Fort Baker. 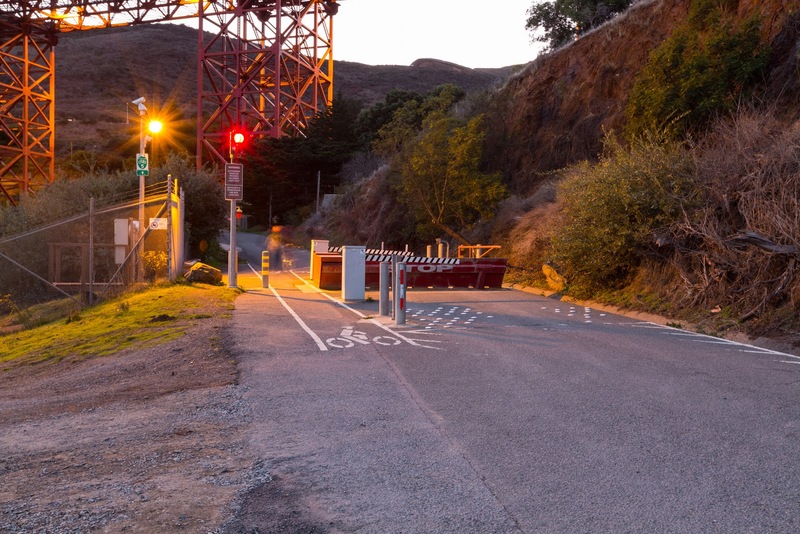 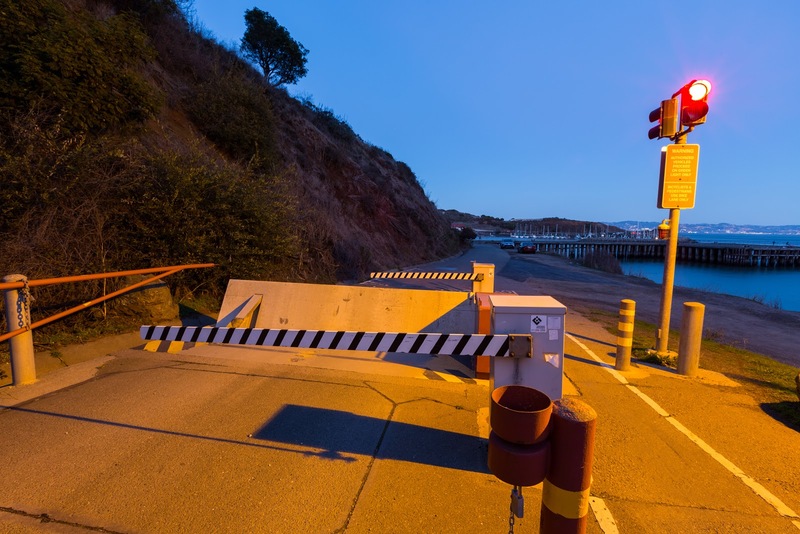 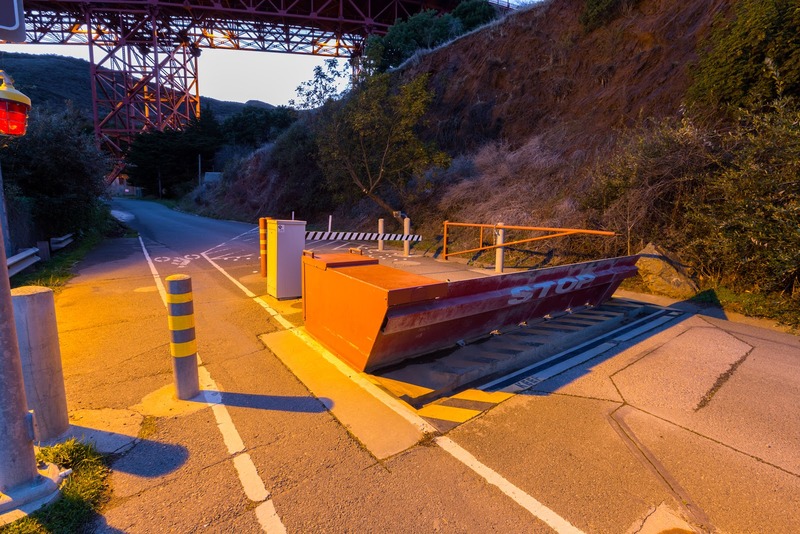 Vehicle barrier on Conzelman Road at Fort Baker. 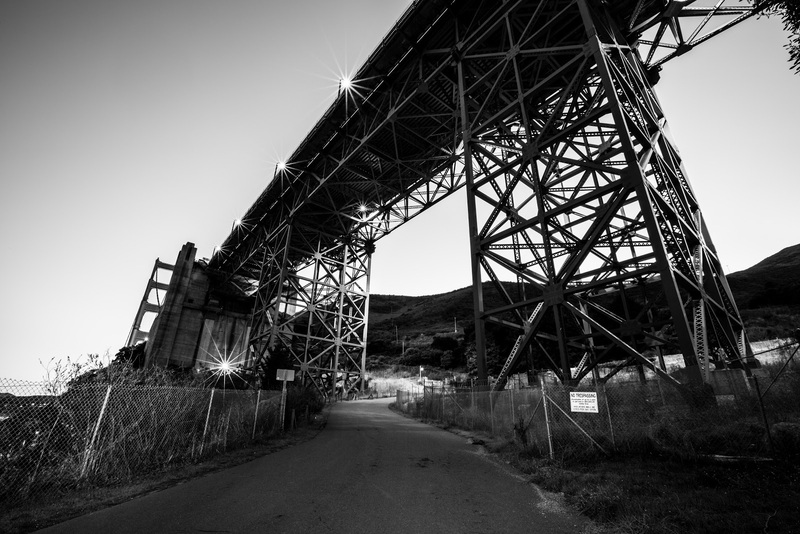 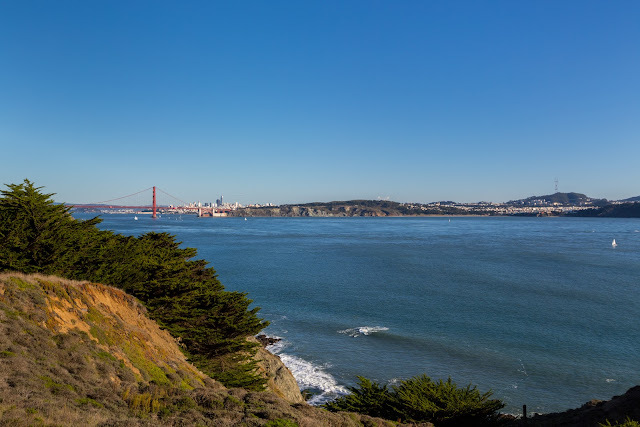 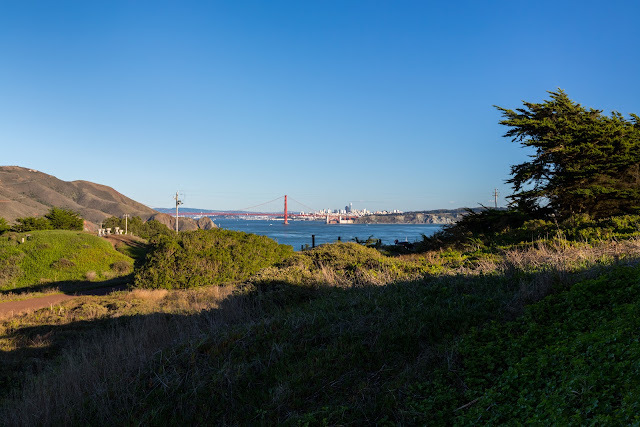 Photo of Golden Gate Bridge from Conzelman Road at Fort Baker. Night long exposure from Conzelman Road at Fort Baker. 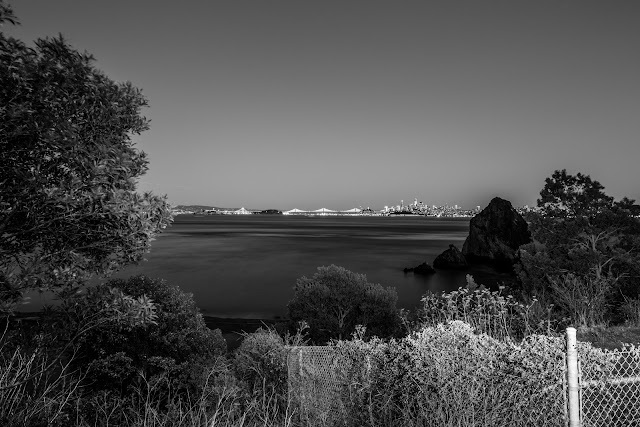 In the photo from the left is Alcatraz Island, Yerba Buena Island, Bay Bridge, Downtown San Francisco, and Needles Rock. 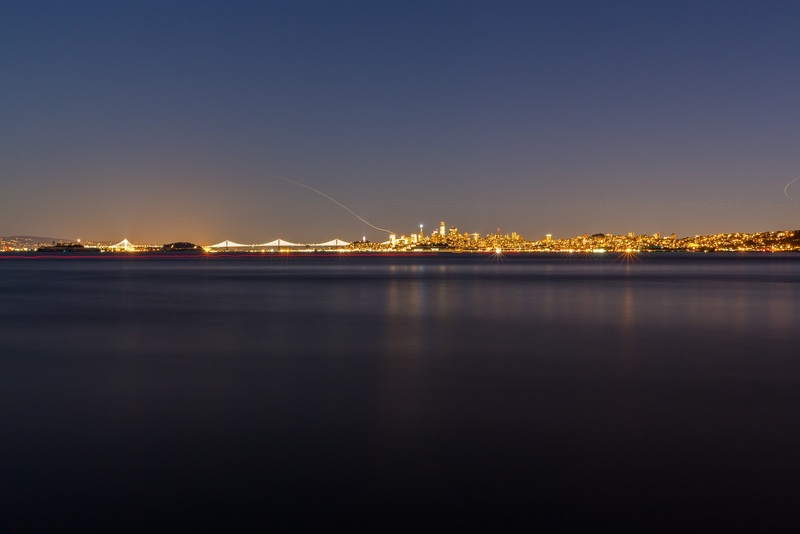 Night long exposure from Golden Gate Bridge and Sutro Tower shot from Moore Road Pier at Fort Baker. 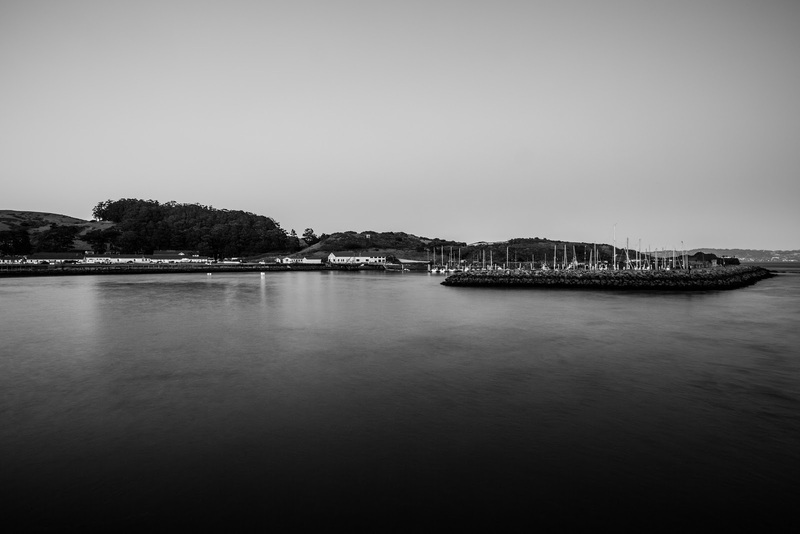 Night long exposure from Moore Road Pier at Fort Baker. 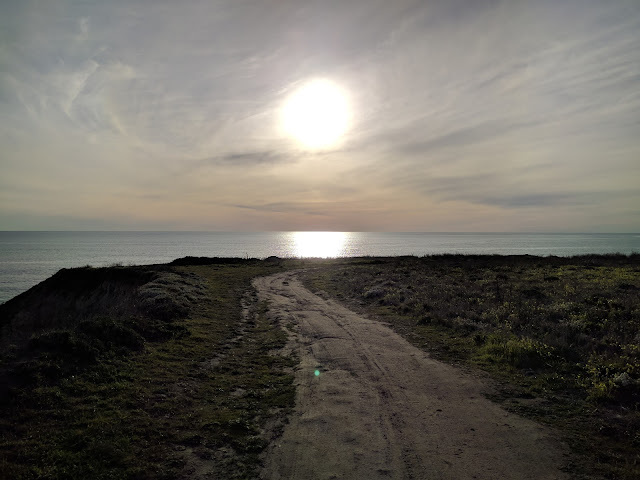 I was traveling a ton in February and March so I haven't had much time to post these cellphone photos I took. 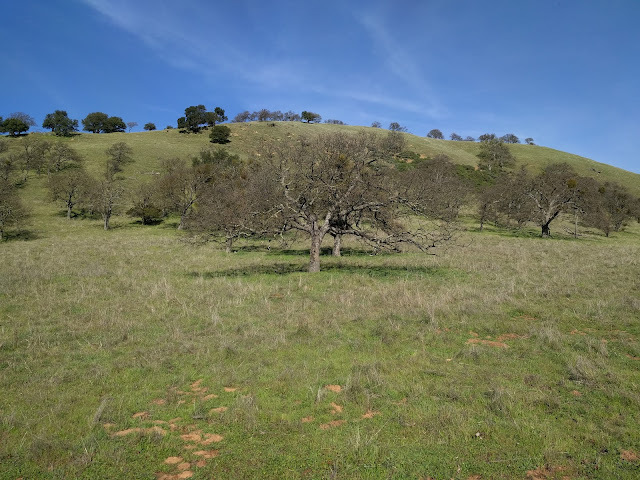 During the month I took photos from Pleasanton Ridge Regional Park, flowers in my backyard, Shark Fin Cove, and Del Valle Regional Park. Here are the photos I took. 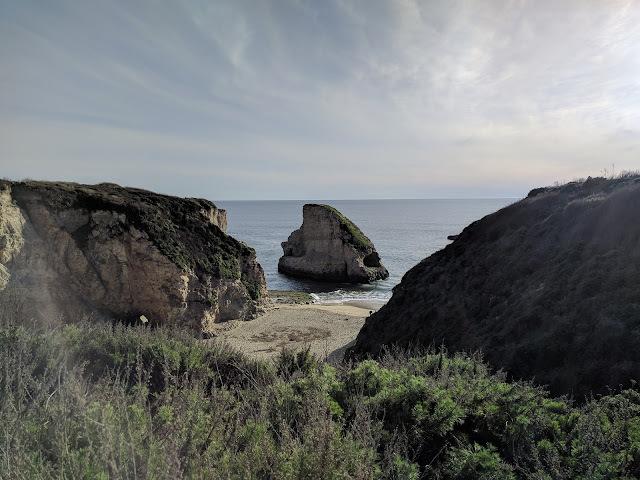 I also shot DSLR photos from Shark Fin Cove, and those photos will be coming soon. Photos of snow in the San Francisco East Bay. You can see snow on the distant hills. 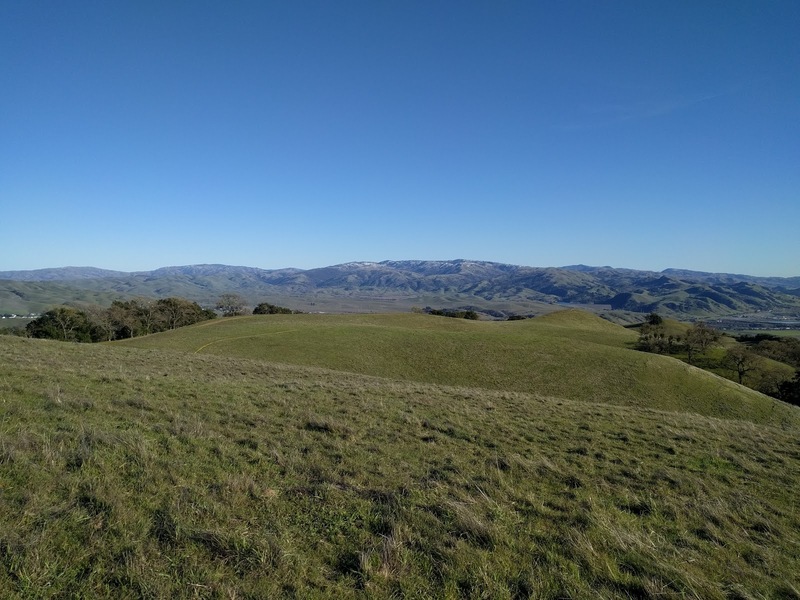 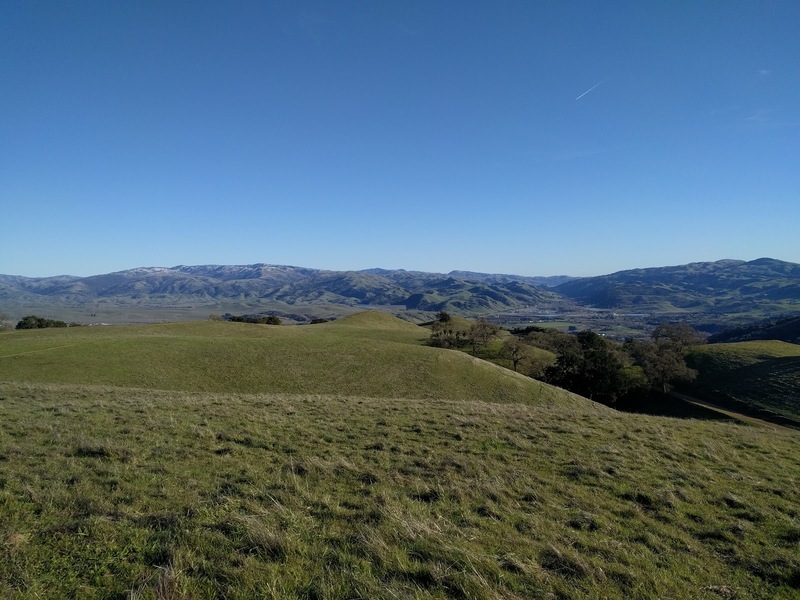 Photo shot on February 27th in Pleasanton Ridge Regional Park in Sunol, CA. It was extremely cold for a couple days before the photo was shot so the San Francisco Bay Area saw some really rare snow. 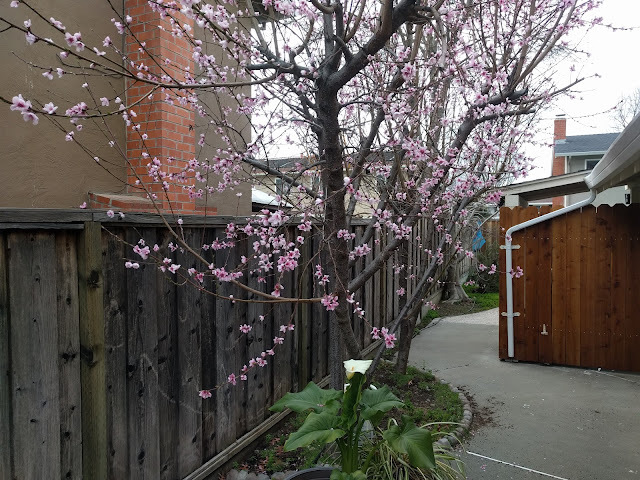 This has been one of the coldest winters I've experienced in the San Francisco Bay Area in almost two decades as a resident. 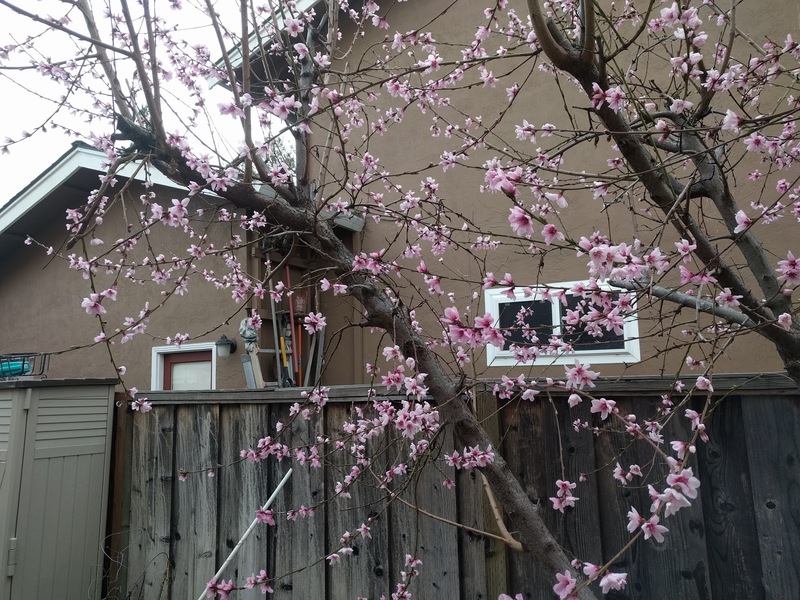 Peach tree flowers in my backyard. Photos from February 28th. 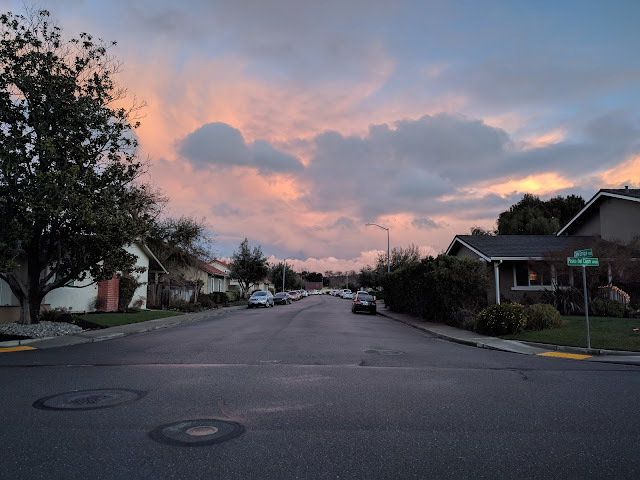 Sunset and clouds in Pleasanton, CA. Photo from March 3rd. Clouds in Pleasanton, CA. 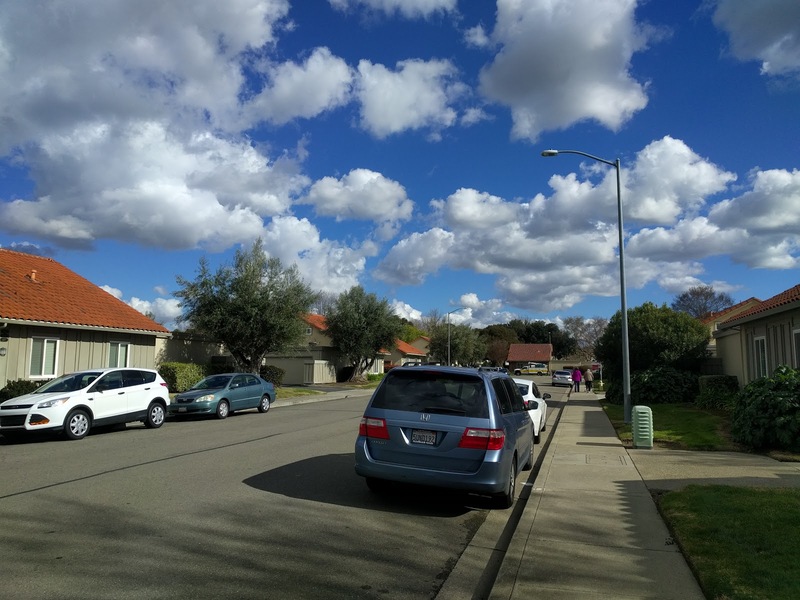 Photo form March 4th. 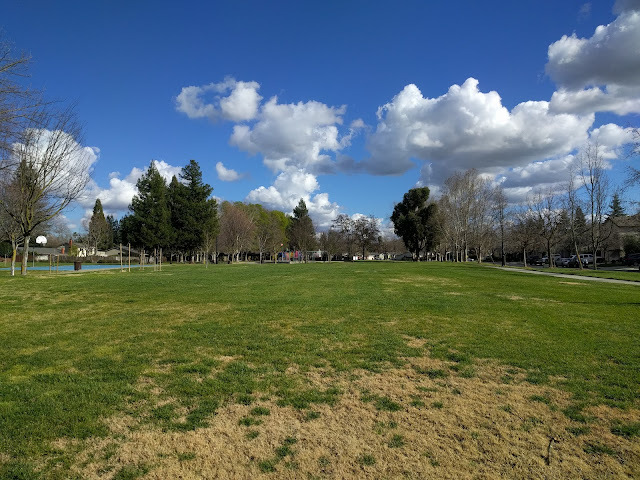 Clouds and Hansen Park in Pleasanton, CA. 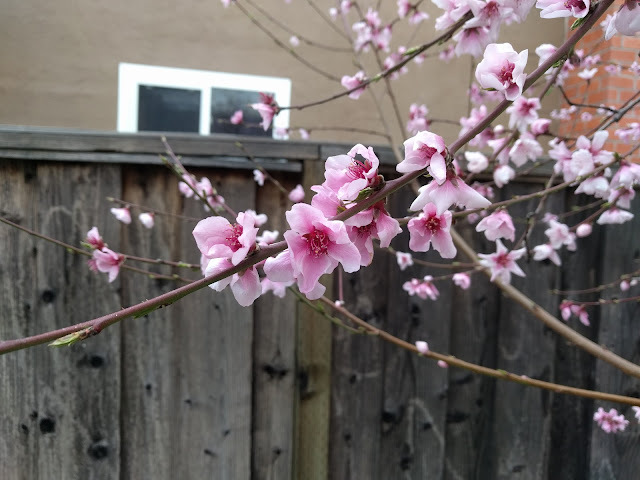 Photo from March 4th. Shark Fin Cove in Davenport, CA shot on March 5th. The area is also known as Davenport Cove, Shark Fin Beach, Shark Tooth Beach, and Shark Tooth Cove. 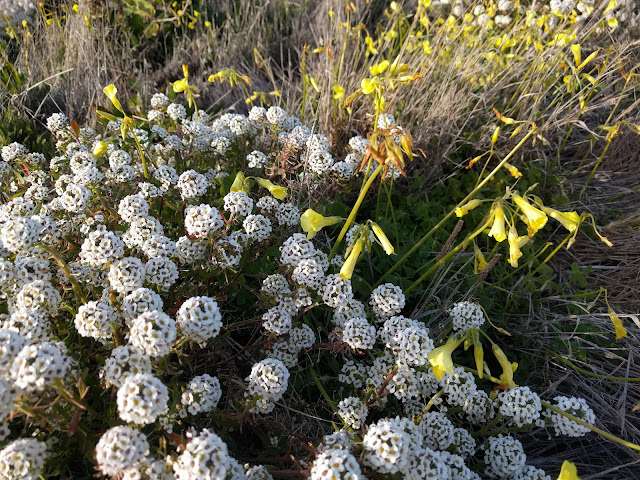 Flowers near Shark Fin Cove in Davenport, CA. 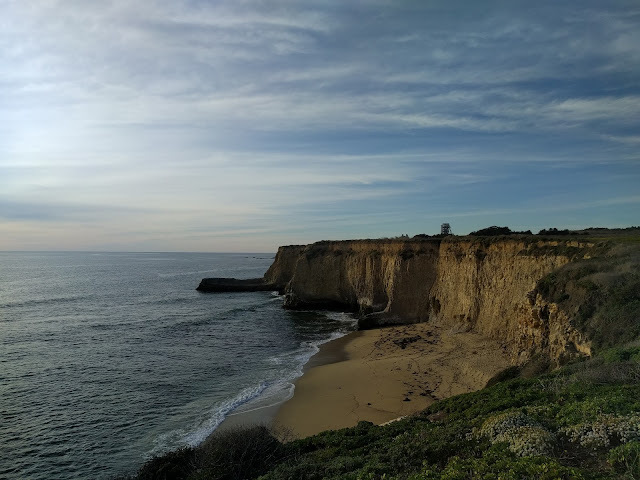 Close to sunset at Shark Fin Cove in Davenport, CA. Sunset near Shark Fin Cove in Davenport, CA. 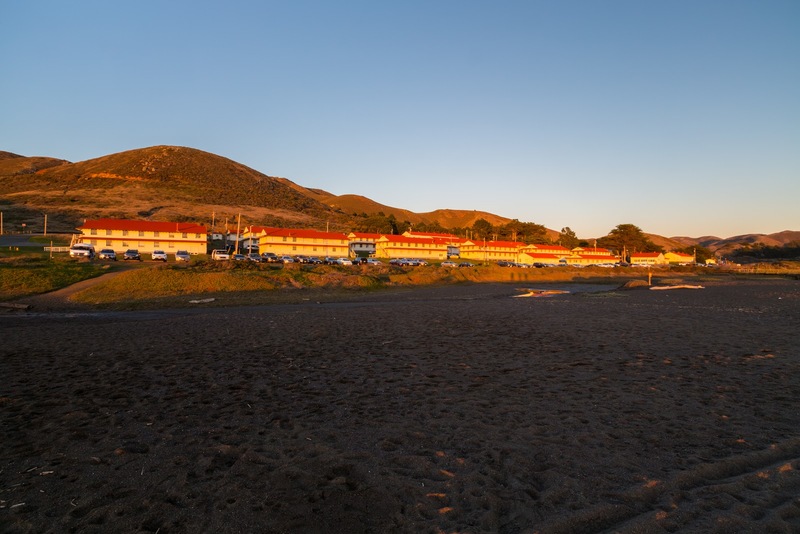 After Shark Fin Cove, I went to Kang Nam Tofu House in Milpitas, CA for dinner. 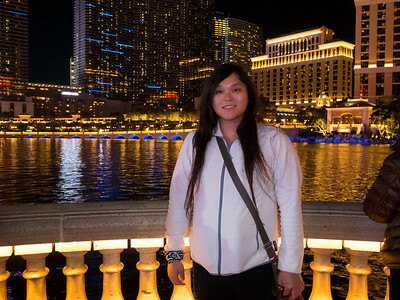 I love this restaurant and I always pass by for food when I get the chance. 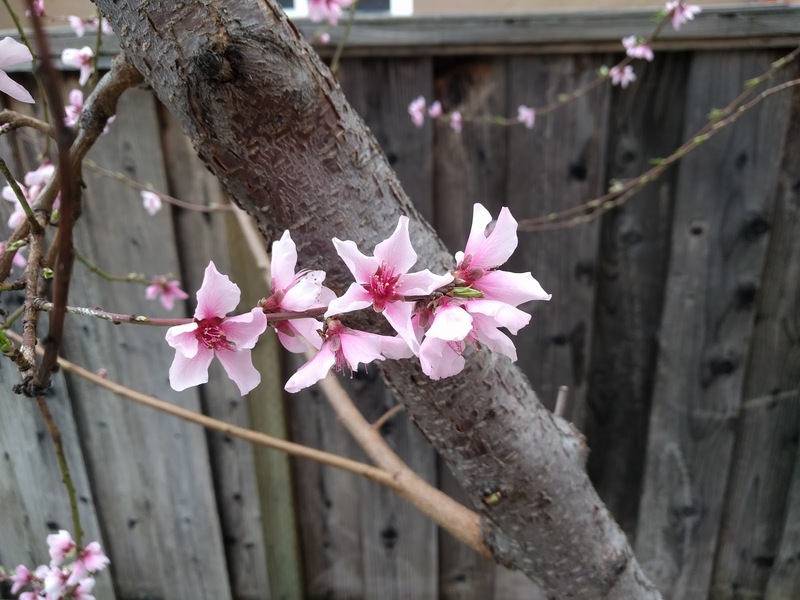 They got something new in the restaurant now. 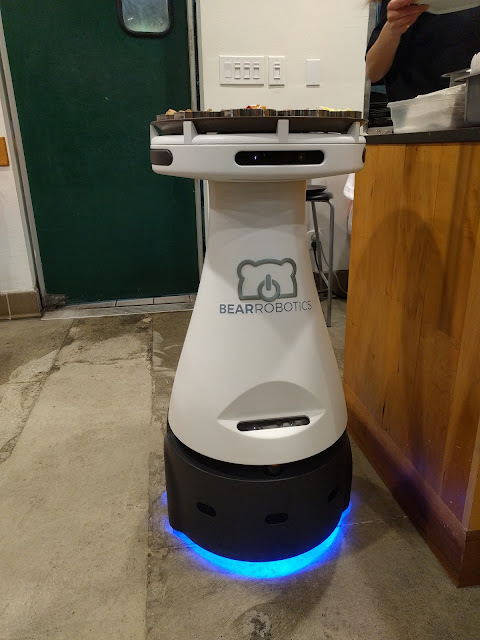 A restaurant robot that brings food to you! Really cool. 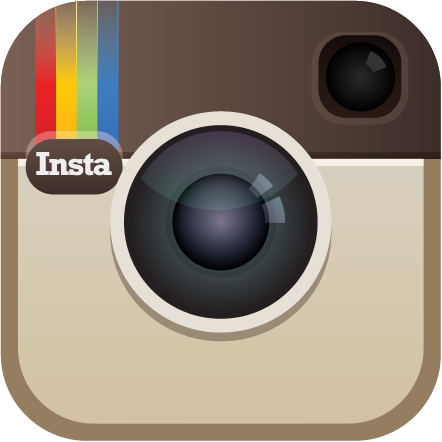 I'm a bit of a technology and robotics nerd. 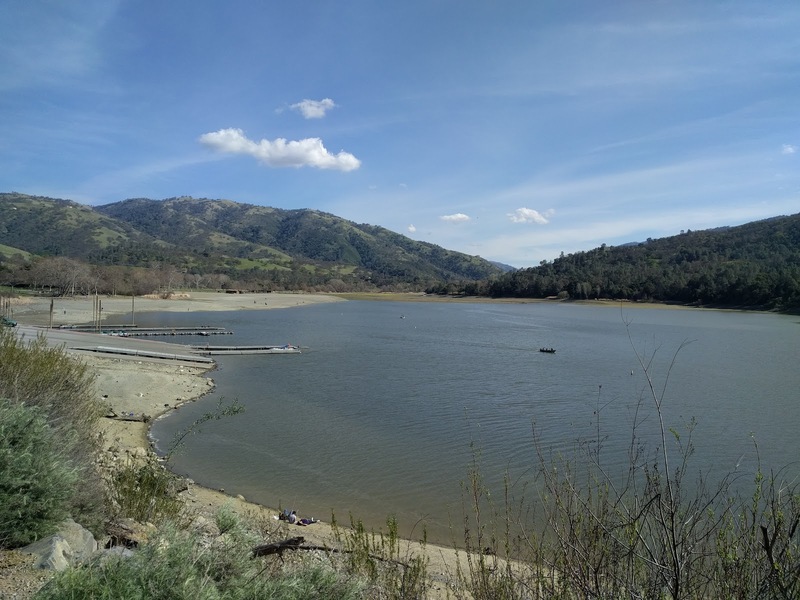 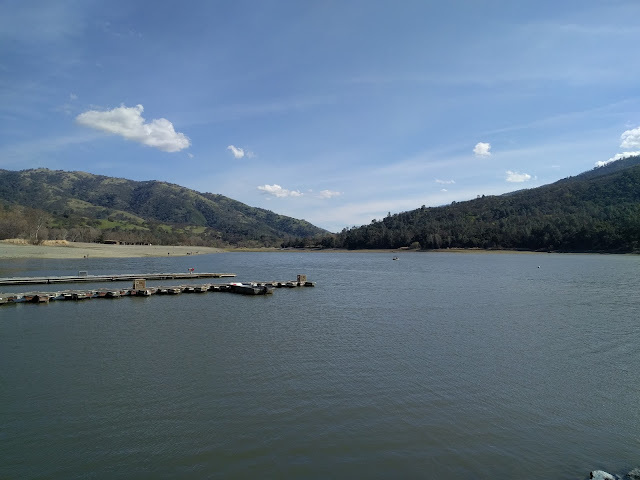 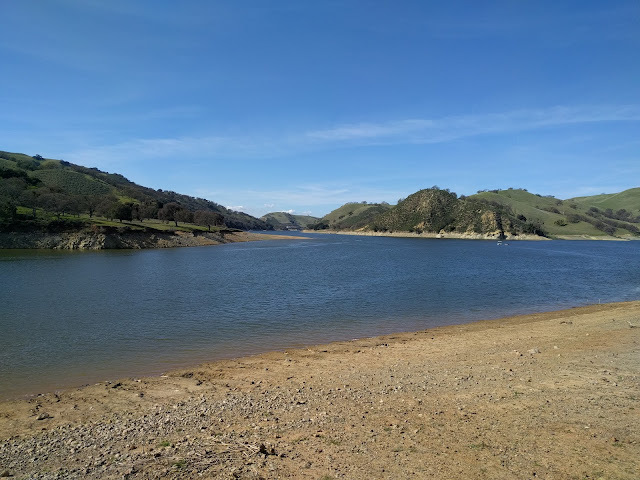 Photos of Lake Del Valle in Del Valle Regional Park in Livermore, CA shot on March 11th. Photo from my walk in Del Valle Regional Park in Livermore, CA. 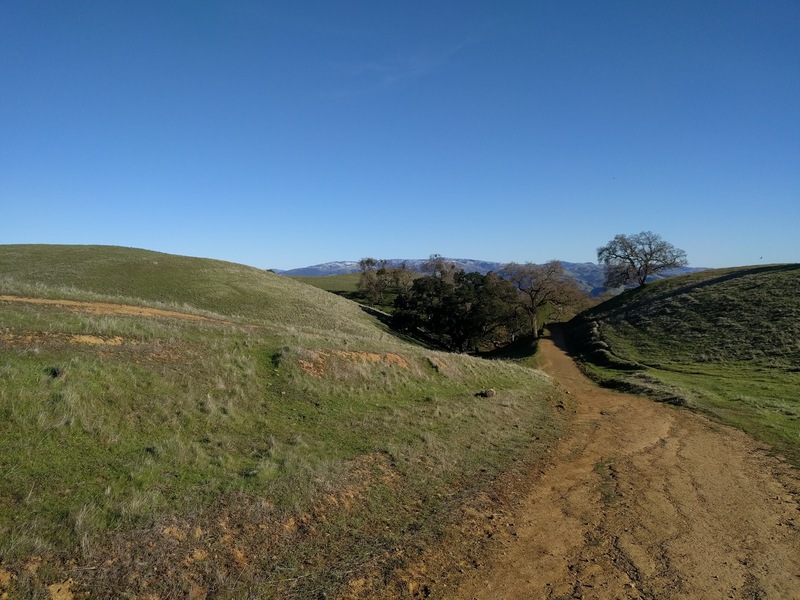 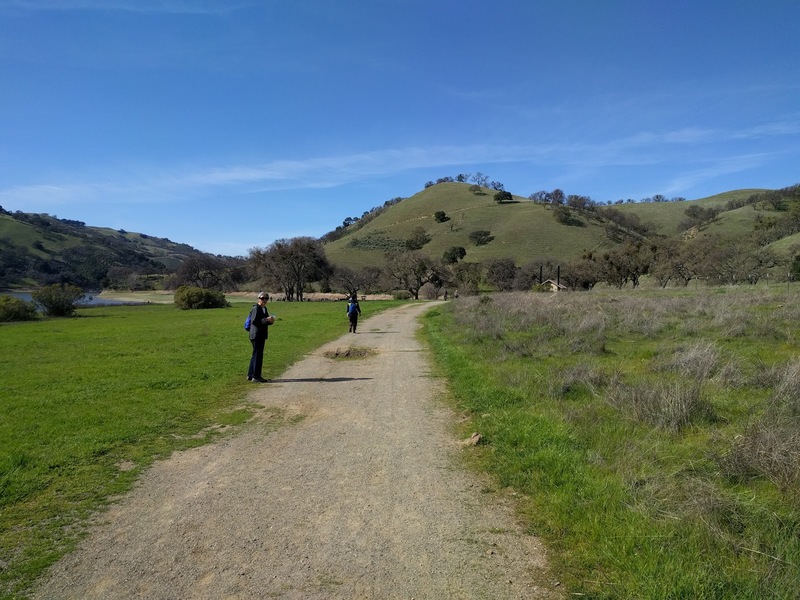 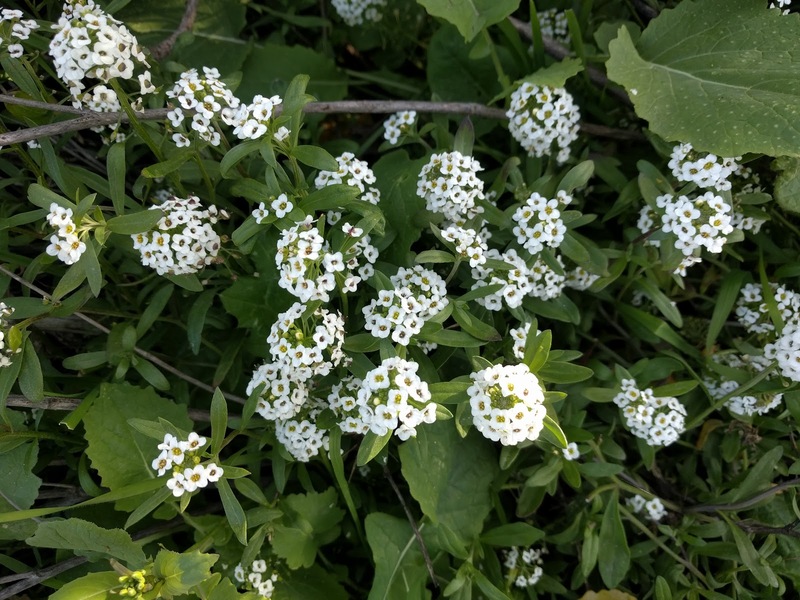 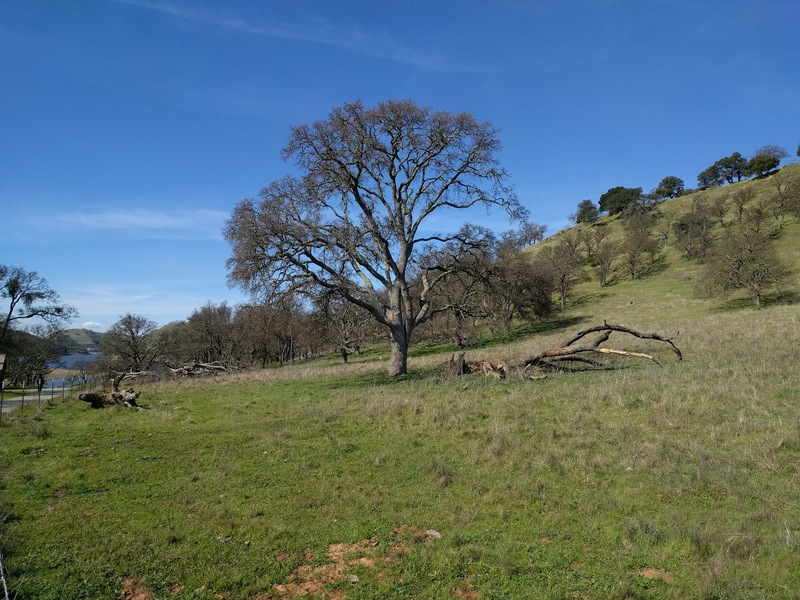 Photos from my walk in Del Valle Regional Park in Livermore, CA. 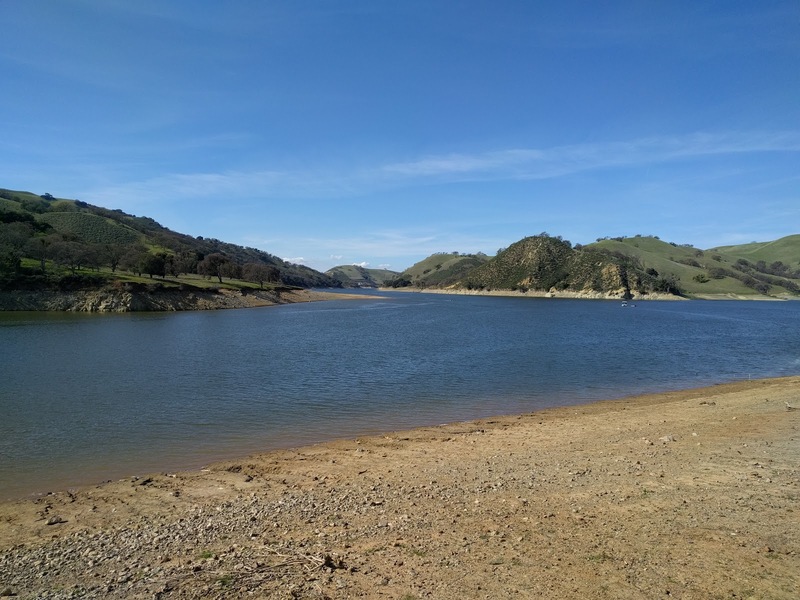 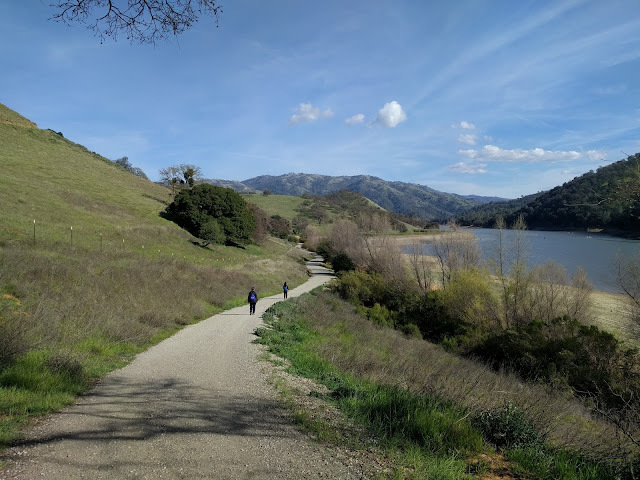 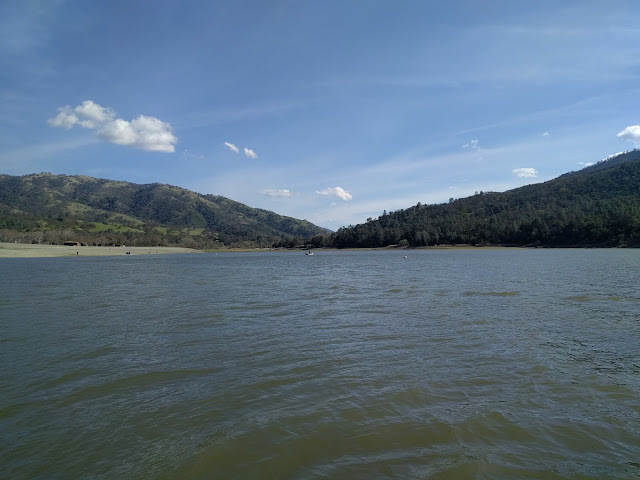 Photos of Lake Del Valle in Del Valle Regional Park in Livermore, CA.